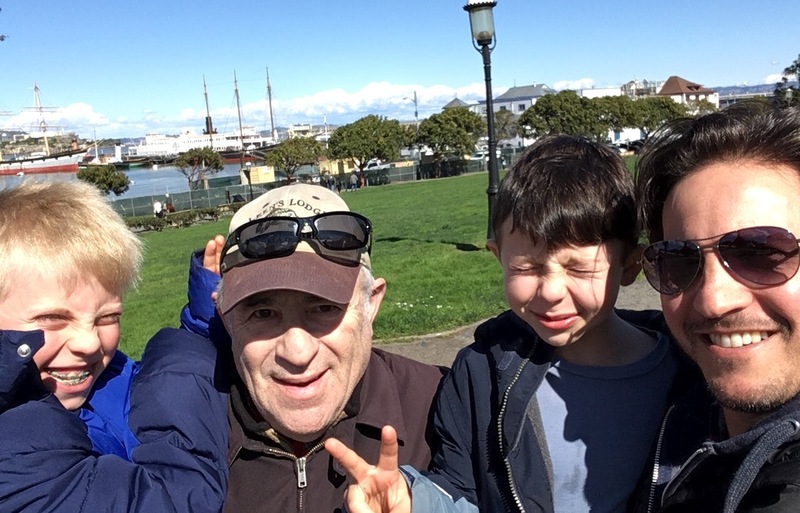 I was just on vacation in San Francisco and my grandfather was visiting too (here is a silly photo of us). He likes sweets so we decided to go to the Ghiradelli chocolate factory. As you might know, I like vanilla more than chocolate, but after these 45 minutes I had to change my thoughts a little bit. I liked this chocolate more than vanilla. A lot. The first place/shop we went into was the marketplace. I noticed immediately how much chocolate they had. Squares, bags, nuts covered with chocolate, and fruit covered with chocolate. They were also selling hot chocolate up at the counter. 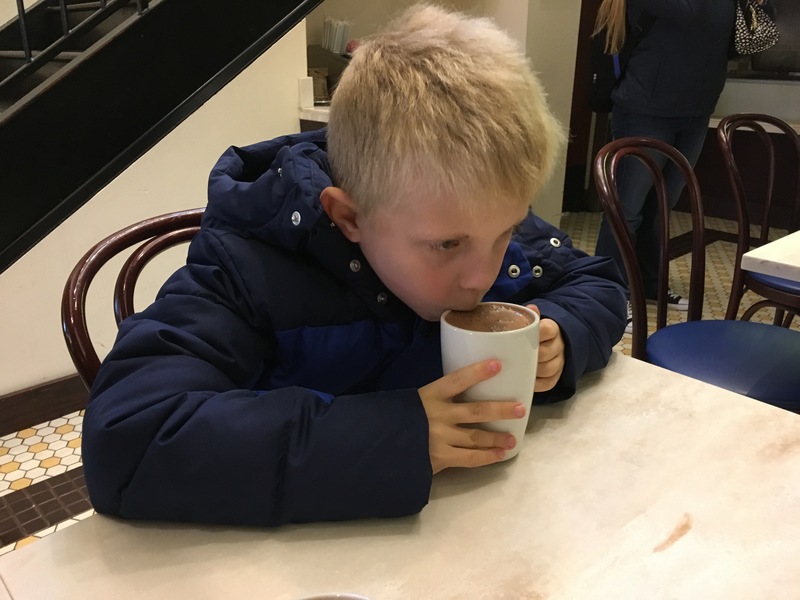 When we first asked for hot chocolate they told us that it was all made with dairy. But this nice lady named Dominique went out of her way to get the dark chocolate mix which was dairy free. I thought this was a really nice gesture by her and if I hadn’t been able to have hot chocolate I wouldn’t have been too happy. So Dominique saved the day! My 12oz glass of dairy free hot chocolate was super delicious. I couldn’t drink all of it because it was really filling. It was tummy warming and hot. I loved it. My dad put our leftovers into a cup. We were going to bring some to Mom who was at meetings before we went to lunch and the movie Hidden Figures. When we left Ghirardelli, to get on the cable car my dad said he threw the leftovers away, but really snuck it onto the cable car (they didn’t allow drinks). Also, me and my brother Henry each got two squares of 72% dark chocolate. My grandfather who came with us got four squares of milk chocolate with raspberry. My dad got a piece of chocolate too. We all thought they were over delicious. In the factory there was a separate little store that sold dog stuff. 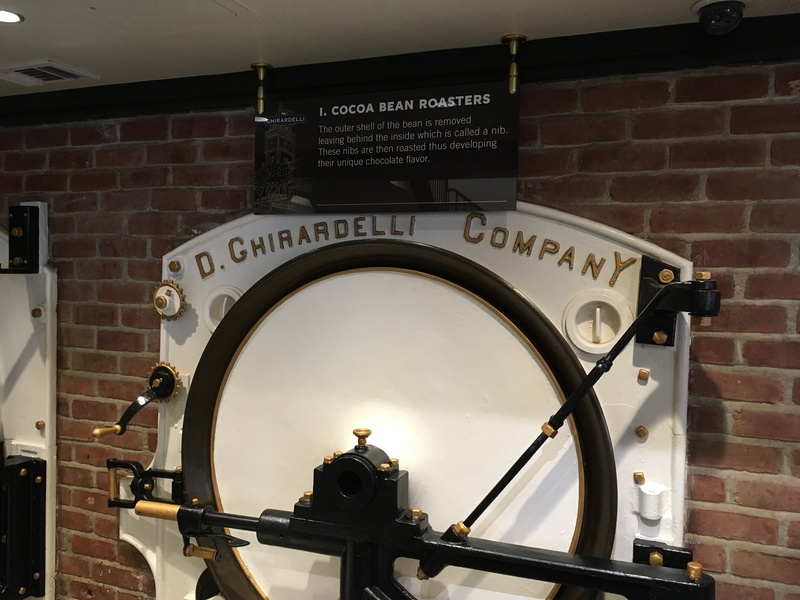 Kind of surprising that they have that at a chocolate factory. We got a new harness for my dog Bagel and one of those throw the ball thingies with a stick for Podo. My grandfather got two things that said My Dog Loves Ghiradelli Chocolate. 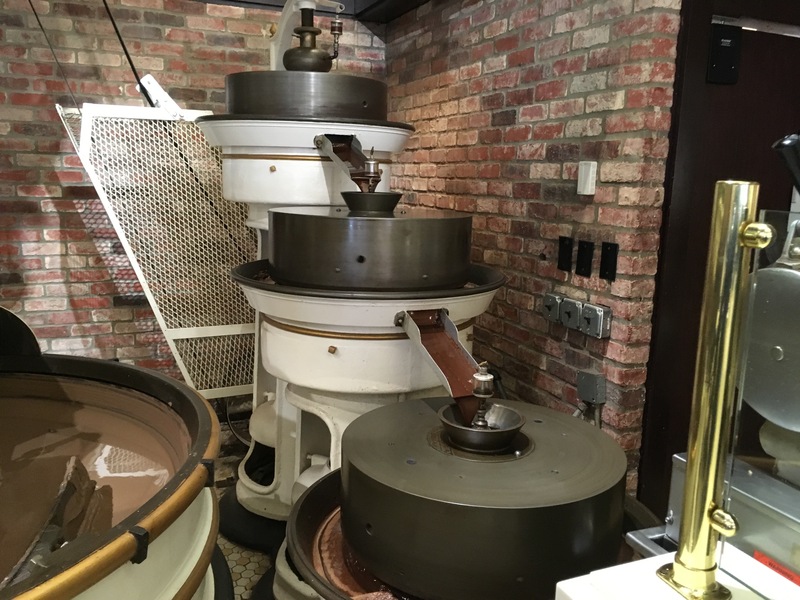 While we were there we saw the entire four step process of how they make the chocolate. First they roast the inside of the cacao beans which is called the nib and then they grind and heat the nibs. After that they mix it with other ingredients. Finally they transfer it into a big bin in which a mixer sloshes the chocolate from side to side to get all the big lumps out. Then they pour it into molds. It was pretty cool watching this and I admired their process of making chocolate. 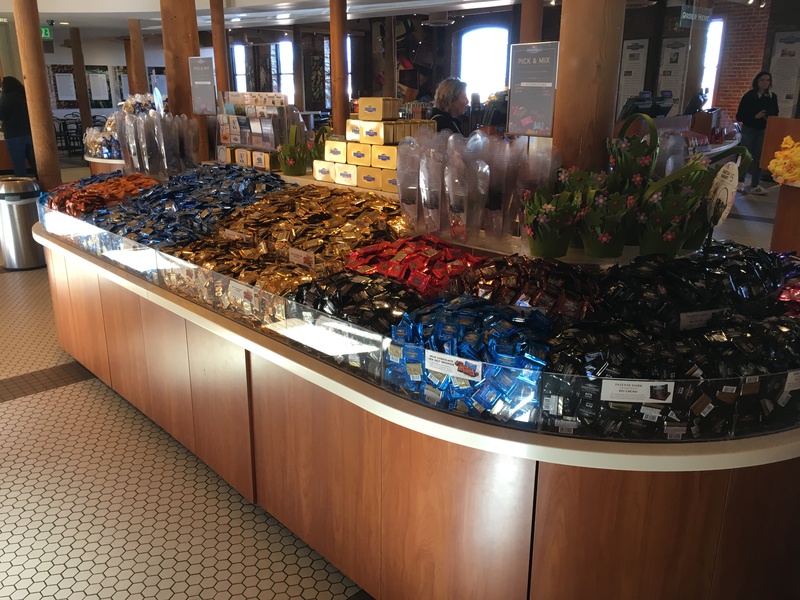 Then when I looked at the counter full of chocolate I understood exactly how they made that chocolate. It was a wonderful experience that I will never ever forget. 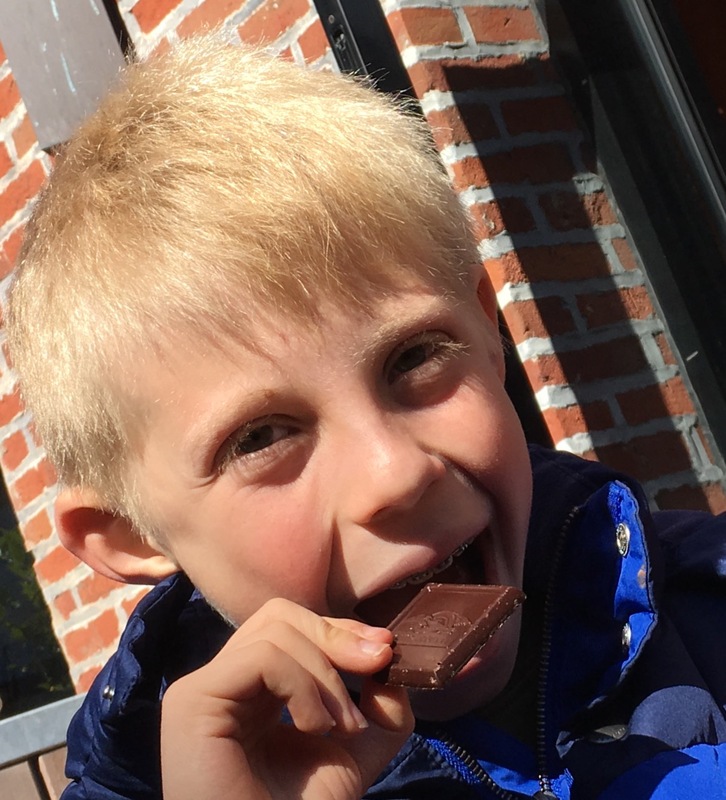 Ghirardelli chocolate rocks! 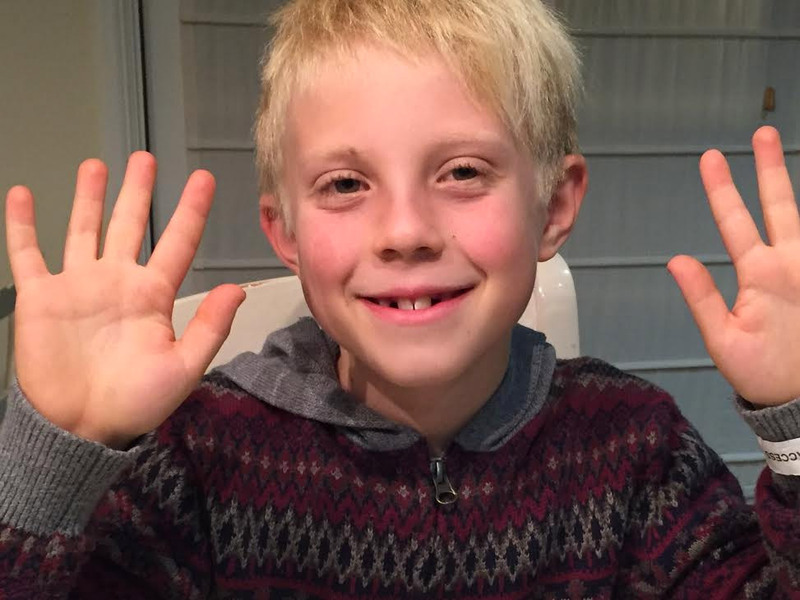 Love the photos — all you guys (3 generations!) look terrific! 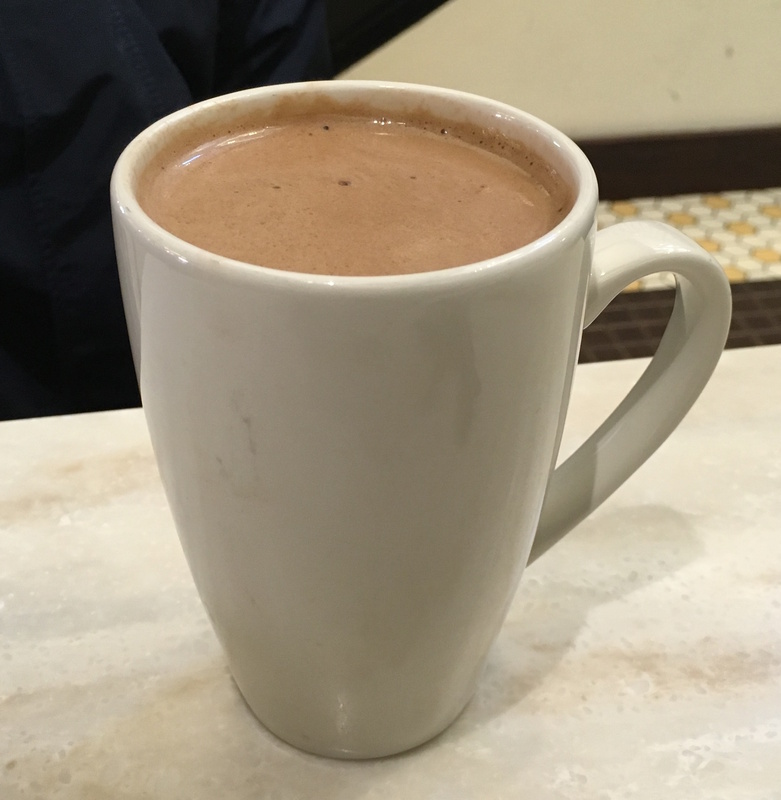 Took Ellen there recently and we loved the chocolate, too — especially the hot chocolate! 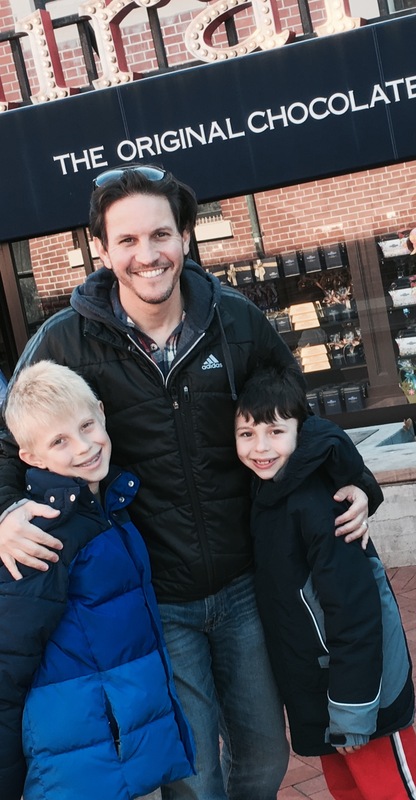 Great pics with your dad kids! I’m a chocolate nut too! lOVE it!! If you come to see me I’ll make my family’s favorite chocolate mousse. 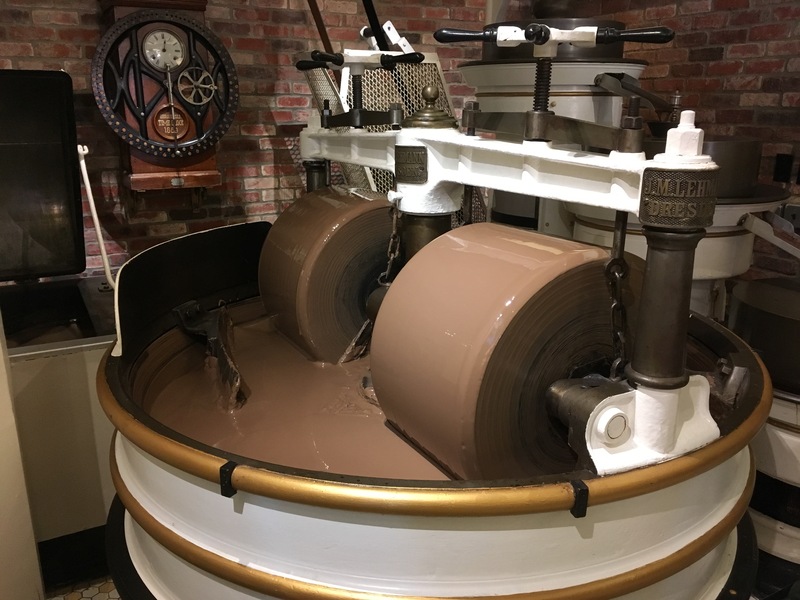 Thanks for sharing the equipment that is used to make chocolate!